Watch the Official Announcement Here! Warwick, RI – Ready for Round Three? 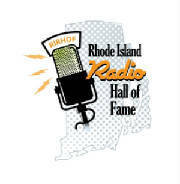 The Rhode Island Radio Hall of Fame was established in 2008, with a goal to celebrate the now 88-year history of the radio broadcast industry in Rhode Island, and to honor the men and women who have played a part in its growth. After successful inductions of past radio pros like Salty Brine, Sherm Strickhouser, Jack Comley, Charlie Jefferds, Jimmy Gray and Don Pardo – to name just a few – a new group is ready to join with those who have all played a prominent role in radio’s growth in the Ocean State, and who also played a large part in the lives of their listening audience. Bobb Angel – A 1962 graduate of Rogers High School, Angel has lived on Aquidneck Island his entire life, and he has been a vital part of the local community. He graduated from the RI School of Broadcasting in 1967, began with his first job at WALE, and was hired by WADK in Newport in June of ’67 – where he remains today. Having worked in every capacity that exists at WADK over 43 years, Angel is closely identified within the community through his broadcasts of local teams. He is a 7-time RI Sportscaster of the Year. 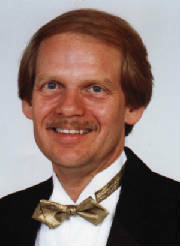 Gary DeGraide – Like his father Gene (RIRHOF Class of ’08), Gary’s career spanned parts of five decades. 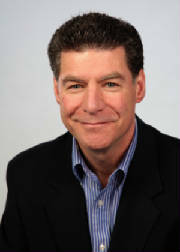 Working at WICE and stops in Hartford and Boston prepared DeGraide to host afternoon drive on WPRO for 8 years, followed by 22 years of morning drive on WWLI. His folksy approach earned him two decades of outstanding ratings in the morning, and he became a spokesperson for many charities and local businesses. DeGraide currently hosts Sunday mornings on WSTL, and serves as the voice for RI PBS. 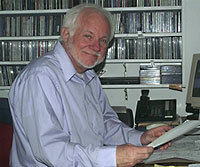 Steve Kass – Began his career in 1958 as one of RI’s first rock ‘n roll DJ’s on WRIB. After a 20-year career in business, Kass returned full time to radio in ’79, and began at WHJJ in ’80 as a talk host. For the next 26 years, he worked for WHJJ and WPRO in talk show capacities, driving ratings and revenue upward. A 1959 graduate of URI, Kass currently serves as Communications Director for the RI Emergency Management Agency. Steve McDonald – A fixture at WHJY since the mid-1980’s with “Paul & Al” (RIRHOF Class of ’08), McDonald’s witty role as “Jim Shorts” on sports has greatly added to the programs’ popularity. Also covering sports and co-hosting shows on WHJJ and WWBB, Steve has served as the radio “Voice of the Rhode Island Rams” football and basketball teams for 15 years – even as a Providence College graduate. He has given much of his time to charity, served as toastmaster for many events, and coached youth baseball teams. Harry McKenna – Veteran radio newsman on WEAN and WPJB, retiring in 1983. His weekly “Radio Press Conference” featured newsmakers and community leaders for parts of five decades. First reporting for the Providence Journal in 1944, and broadcasting for then Journal-owned WEAN beginning in ‘46, McKenna’s primary “beat” was the General Assembly. His reporting on organized crime won much praise, and he later served as an advisor to several RI Governors. McKenna passed away in 1995 at age 78. Ron St. Pierre – St. Pierre began his broadcast career at WNRI in Woonsocket in 1977. He spent time in news at WHIM and as night host on WHJY, before moving into management as Assistant Program Director at WHJJ. Promoted to Program Director in 1982, WHJJ soon became a news/talk power. 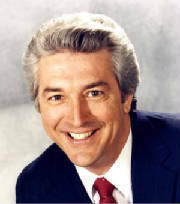 St. Pierre moved to Program Director at WPRO in 1988, where ratings success followed. He was named WPRO-AM General Manager in 1990, and followed with time spent at WWRX, WABC in New York, WSKO AM/FM and stations in West Palm Beach, FL. 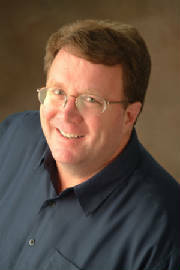 Currently, Ron serves as Executive Producer and co-host on WPRO, and Program Director for WPRV. 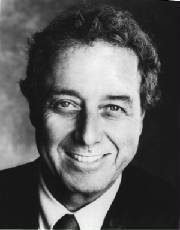 Mike Sands – A prominent radio and TV personality, at the time of his death in 1993, Sands was public affairs director and mid-day host at WSNE. 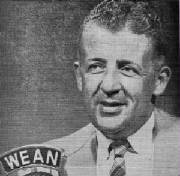 He began his broadcasting career as Mike “Surfer” Sands at WICE in 1966. He also served as Program Director of WJAR Radio from 1973-79, and was very active in community service with several charitable organizations. Mary Ann Sorrentino – Sorrentino came into the Rhode Island spotlight when she served as Executive Director of Planned Parenthood of RI from 1977-87. 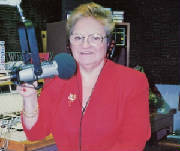 Her radio talk show career began in May 1987 at WHJJ. Never one to mince words or hold back her opinions, Mary Ann’s radio popularity soared when she hosted a mid-day talk show on WPRO from 1989-98, followed by hosting a talk program on WICE. Women’s rights and victim’s rights were always among Sorrentino’s talk show topic passions. The official induction banquet for the Class of 2010 took place at the West Valley Inn in West Warwick, RI on Thursday, May 13th, 2010. As an added attraction to the Rhode Island Radio Hall of Fame, local radio fans are encouraged to participate as Associate Members, by contributing a one-time fee of $25. For their donation, fans will earn the right to nominate and vote for local radio industry professionals for future consideration in the Hall of Fame, and receive a discount on induction ceremony dinner tickets. The $25 lifetime membership fee is tax deductible, and should be made payable to A Wish Come True, Inc.
Click the photos to listen!